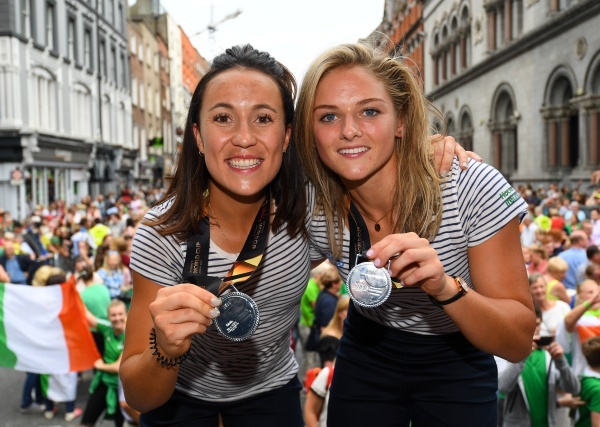 Between Grand Slams and gold medals, 2018 will go down as one of the most memorable years in Irish sport. Of all the achievements though, none has been more widely praised than our women's hockey team reaching the World Cup final in London. A feat never before achieved by any Irish side, in any sport. For Chloe Watkins, the reaction to their heroic campaign is still something she is struggling to get her head around. "It's been amazing, I think the craziest thing has just been the amount of people talking about hockey and recognising 'oh you're on the hockey team!'. That's still hard to believe and to get your head around really. There are still things popping up everyday, it's great coverage, we're delighted with it." Speaking at the official launch of FBD's partnership with Team Ireland, Watkins still gets giddy when talking about the recent World Cup final appearance, laughing at the notion that she is now a role model for young Irish girls. "It's a funny one to think about but I've definitely seen with the younger age group a little bit more recognition and a little bit more excitement which is great. "I've been around a few camps and a few junior club sessions over the last few weeks, and the reaction from the kids is insane, they are hanging on your every word. It's only going to benefit the sport if all these girls are getting motivated to get involved." The success of the Ireland team has given hockey a major boost, with many clubs thriving as a result of the their final appearance. The main hope would be that the sport can now go from strength to strength, particularly at junior level. Watkins believes their success is already filtering down into the club scene. "We've definitely seen an impact at junior levels, with numbers and interest. I know loads of clubs are already saying their junior sections are off the charts with requests from kids trying to come and play, which is great." 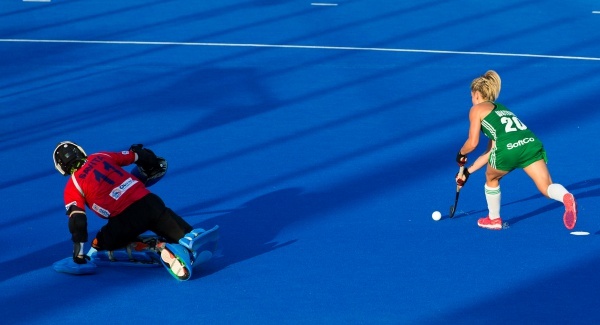 Watkins was the hero in the quarter final win over India scoring the winning penalty to set-up a semi final clash against Spain. The Monkstown midfielder however, feels the cat-like heroics of Ayeisha McFerran in goal helped to take the pressure of the players and enjoy the moment they had worked so hard to be in. "Ayeisha was making so many saves I really felt it took the pressure of us as takers. "When it came down to it, it was such an exciting opportunity to get into a semi final. You've trained for so long and you're always thinking of moments were its going to be worth it, it's more exciting to be in a position like that." 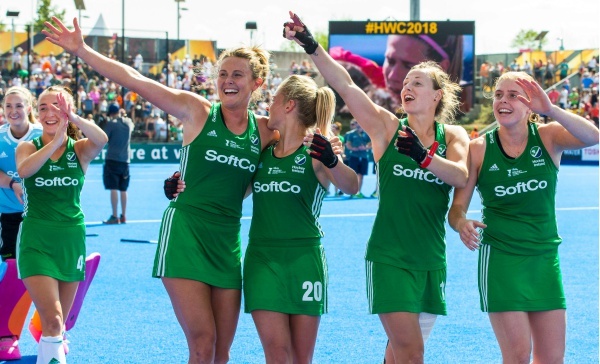 Watkins admits moments like that would never have arrived had this Irish team not suffered the heartache of failing to qualify for the last Olympic games. Without tasting defeat, you can't savour the victory. "You are not gonna forget those moments ever, because it did make our squad a lot stronger and was probably the difference this time around. "We definitely learnt tough lessons but it was a few months after that qualifying campaign were we didn't make it and you were wondering 'can i commit to this again', and then you realise there's not that big a gap between you and the other countries, and how close you are to being involved in an Olympics or a World Cup. "I think it's motivated us all to kick on over the last couple of years. Obviously getting a silver medal was a great high after that disappointment." said Watkins. Maybe now that the club season is back, Watkins and her team mates can step away from the limelight and get back to the sport that got them there int he first place. No doubt when Olympic qualification comes back round again in 2019, all eyes will be on the team. For now though, we can sit back and enjoy the greatest success story of 2018. What is sport if it is not to inspire?